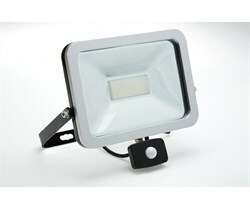 Ultra slim, high quality LED outdoor floodlight with PIR sensor. Available in Warm White (3000K) and Daylight (5700K). The Brackenheath ispot Driverless LED Floodlight 50W in Black redefines exterior security lighting for your home, office and commercial premises. This model - the 50W with PIR sensor - is suitable for lighting for entrances, passages and for open spaces such as car parks or drives. The PIR spot floodlights provide a greater lumen level than their non-PIR counterparts - making them perfect for installations where enhancing security is a goal. Once triggered, the floodlights will provide intense illumination - providing a deterrent and enabling a clear view of your property. The professional-quality PIR has a detection distance of seven metres and a detection range of 110 degrees. The unit can be configured simply so that you can specify the optimum hold time, sensitivity and lux level. This means that you could, for example, set the sensitivity so that it does not react to a pet cat - but triggers if an adult-sized body is detected. Alternatively, you can set the spot to provide permanent low-level lighting, but to increase in brightness once the PIR is activated. The Brackenheath ispot Driverless LED Floodlight 30W will last for 36,000 hours: that means it will still be working in 20 years time if you leave it on for an average of four hours per day, every day of the year. The fact that it is LED will mean that you can use it as needed - without worrying about your energy bills. 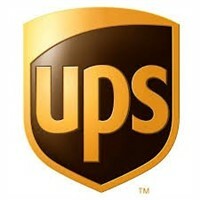 The entire ispot range is available from ryness.co.uk (and in Ryness stores) at the cheapest price online and for next day delivery to your home or workplace. We will also offer valuable discounts on multiple purchases. We are one of only a few national retailers to offer the PIR versions (which cannot be bought online from Screwfix, for example). The ispot has a high grade aluminium and steel construction. The front glass is toughened, has an attractive silver bezel, and is fitted with hex head bolts for added security. An ultra-thin, tactile design. The mounting bracket can be rotated through 360 degrees for optimum light coverage. 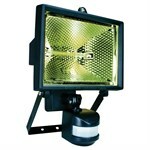 The Brackenheath ispot LED Floodlight with PIR is driverless. This results in reduced levels of heat emission and so increased efficiency and reliability. The high voltage LED chip is super bright at 3460 lumens (warm white) and 3500 lumens (cool white). The Brackenheath ispot LED Floodlight with PIR is IP65 rated so it will be protected from the elements and show no damage from rain or snow. The test for this includes firing water at the spot enclosure for at least 15 minutes in all directions at a volume of 12.5 litres per minute. LED floodlight with PIR, mounting bracket and 900mm flex. W x D x H: 306 x 295 x 60mm. Ultra slim, high quality LED outdoor floodlight with PIR sensor. Daylight and Warm White options available.